“Trust me,” light heavyweight Marcus Browne said this week, “I know it ain’t easy. And I’m working like I’ve never worked before in my life, so trust me, I know it ain’t easy. And you could say what you want from the outside. Come January 19, you’re going to see. You’re going to see. 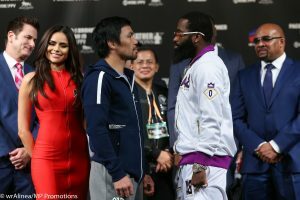 So, keep it up.” Browne was speaking of his upcoming fight with the esteemed Badou Jack, which will be the co-feature of the Manny Pacquiao-Adrien Broner Pay Per View card, airing live on Showtime Pay Per View. PBC on FOX Network featured 3 major fights at Nassau Coliseum, Uniondale, NY, Saturday. In the main event returning after 19 months former champion now at welterweight Omar “Panterita” Figueroa, Jr., 27-0-1 (19), of Weslaco, TX, returning after 11 months stopped southpaw former champion Robert “The Ghost” Guerrero, 33-6-1 (18), of Gilroy, CA, at 1:30 of the second round. In the opening round Guerrero won the inside fighting over slow starting Figueroa. In the second round Figueroa hurt Guerrero with a left uppercut to the chin. Seconds later Figueroa dropped Guerrero who came back strong only to be dropped again with a short right uppercut to the chin. In the third round Figueroa twice dropped Guerrero forcing referee Ron Lipton to halt the fight. The second knockdown was a questionable border line punch. “We followed the game plan especially the right uppercut. The fun part of boxing is that he came fighting back between knockdowns. I want to fight at 140 in the future,” said Figueroa. It was an action packed fight. In the co-feature light heavyweight 2012 Olympian southpaw “Sir” Marcus Browne, 20-0 (15), of Staten Island, NY, halted Seanie Monaghan, 28-1 (17), of Long Beach, NY, at 1:40 of the second round. In the opening round after 40 seconds a lead left from Browne on the forehead of Monaghan dropped him. 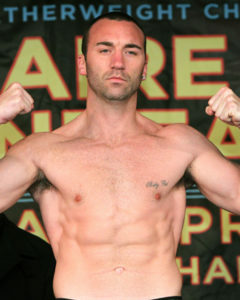 Being over anxious Browne landed a slightly low left hook punch giving Monaghan several minutes to re-coup. Browne had his jab continuously in the face of Monaghan. In the second round a solid right hook from Browne to the head started a dozen unanswered punches to the head and body of Monaghan who was up against the ropes defenseless forcing referee Steve Willis to halt the fight. “I had to do what I had to do. Start with the jab and follow up with the rest. I started with the jab and landed a right hook. I want to thank God for keeping us safe along with Al Haymon. 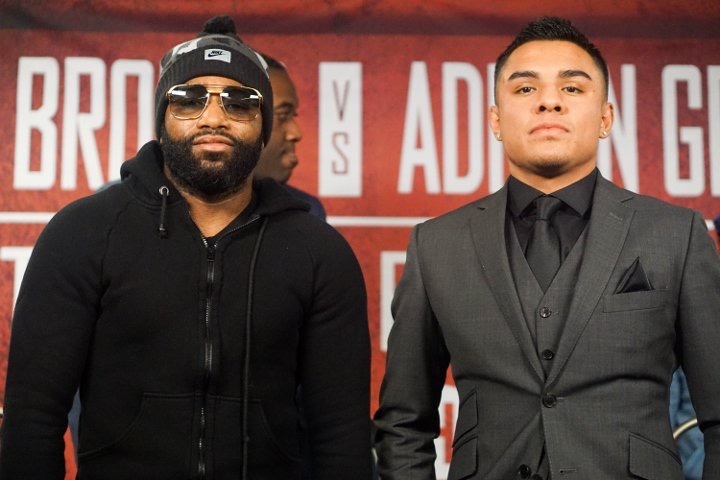 I want to fight Adonis Stevenson next and bring the belt back to New York”, said Browne. It was an ill advised fight for the Monaghan camp to take. He was a easy target setting up Monaghan with his jab and the rest is history. Heavyweight southpaw Artur “SzpilaThe Pin” Szpilka, 20-3 (15), of Wieliczka, POL and Houston, TX, was stopped at 1:30 of the fourth round by Adam “Baby Face” Kownaci, 16-0 (13), of Lomza, POL, and Brooklyn, NY. In the first two rounds Kownaci landed the harder and a much larger amount of punches while Szpilka was on the defense though had a bit more hand speed. Kownaci used his lead right well. In the third round Kownaci continues to force the action. A solid left hook .from Kownaci to the ribs of Szpilka got his attention with 20 seconds left in the round. In the fourth round Kownaci dropped Szpilka with a right, left right to the head. Kownaci jumped on Szpilka who had his arms to his side and taking four solid punches to the head starting with a right from Kownaci having Szpilka defenseless forcing referee Arthur Mercante, Jr. to call a halt. Marcus Morrison Future Middleweight Champion in the Making? Looking ahead to a big night of boxing this weekend sees Anthony Joshua take on American, Eric Molina at the Manchester Arena in what is expected to be an intriguing night of boxing. With the likes of Connor Benn, Ortiz, Yafai, Quigg and Smith fighting on the bill, there won’t be any moments to turn a blind eye that’s for sure. Elsewhere on the undercard sees Dilian Whyte (20-15-1) and Dereck Chisora (26-18-6) meet in a real grudge match following a rather eventful build up to the event. With the ‘Body Snatcher’ and ‘Del Boy’ coming to blows in the making of the boxing programme, Gloves Are Off in addition to plenty of verbal’s in the press conferences as well as thrown tables; the Manchester crowd and wider public are in for a real treat. Saturday also sees the return of hometown fighter, Scott Quigg who will be looking to bounce back after his loss to Carl Frampton. 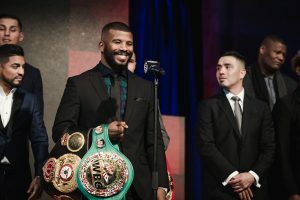 Having recovered from a broken jaw, the 28-year-old will be looking to ease his way back in the ring as he faces Mexican, Jose Cayetano. Moving up to featherweight, the former Super Bantamweight title holder will be hoping to avenge his defeat against Frampton in the near future, but that will be at the back of his mind as he steps in the ring for the first time since February. One of the less known fighters- Marcus Morrison (13- 10-0) is also featuring on the undercard. 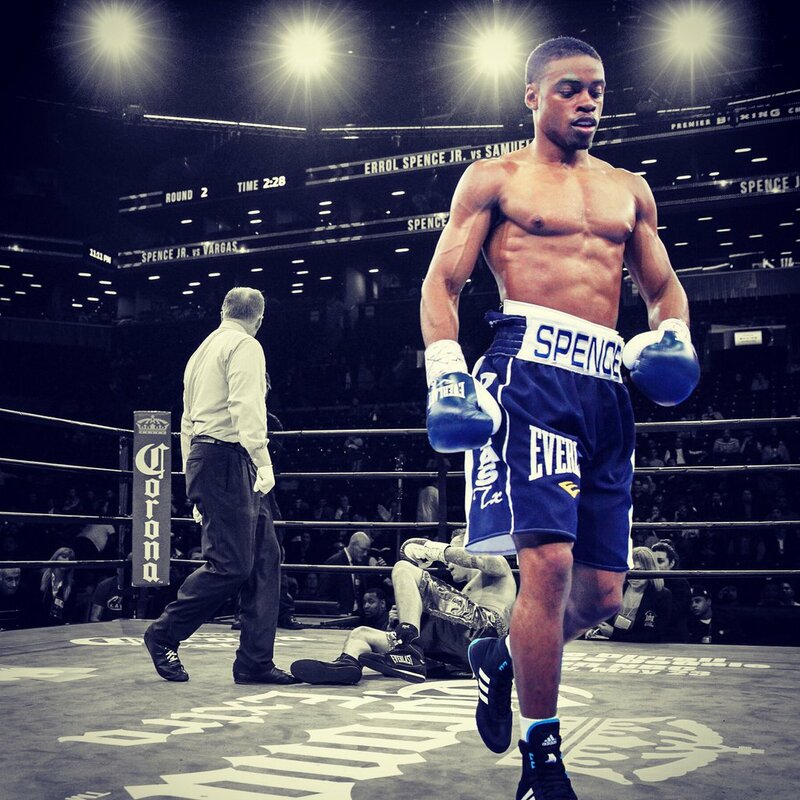 The unbeaten fighter who is regarded as a future world champion is somebody that possesses talent in abundance- not just in boxing. Having been on the books of Manchester City at the age of 16, he decided to pursue a career boxing after being deemed ‘too small’ to make it in the sport. 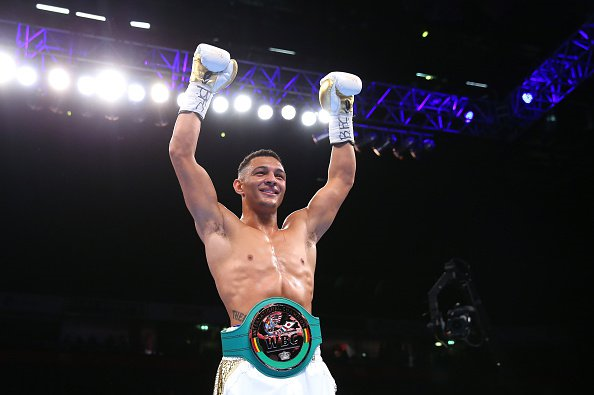 Fast forward 7 years, the 23-year-old already holds a title, picking up the International silver middleweight title after stopping his opponent, Luiz De Sousa in the second round in front of a packed Manchester Arena. Going into his 14th bout full of confidence sees the local fighter face Harry Matthews as he looks to extend his great form in the paid ranks. Known for his explosive power and speed, Morrison will be looking to add to his list of victims having recorded 10 KO’s in his last 13 bouts. With Matthews having faced the likes of Chris Eubank Jnr, Tommy Langford and Tom Dorran it definitely won’t be an easy night for Morrison, as he resumes his career this Saturday. Under the guidance of his trainer, Joe Gallagher- who is known for producing world champions, having guided stablemates Anthony Crolla, Liam smith and Scott Quigg to world titles, don’t be surprised to see Morrison adding to that very list. Although its early days, if the 23-year-old carries on progressing at the rate he Is, it would be only himself to blame if he doesn’t achieve great things in the sport.